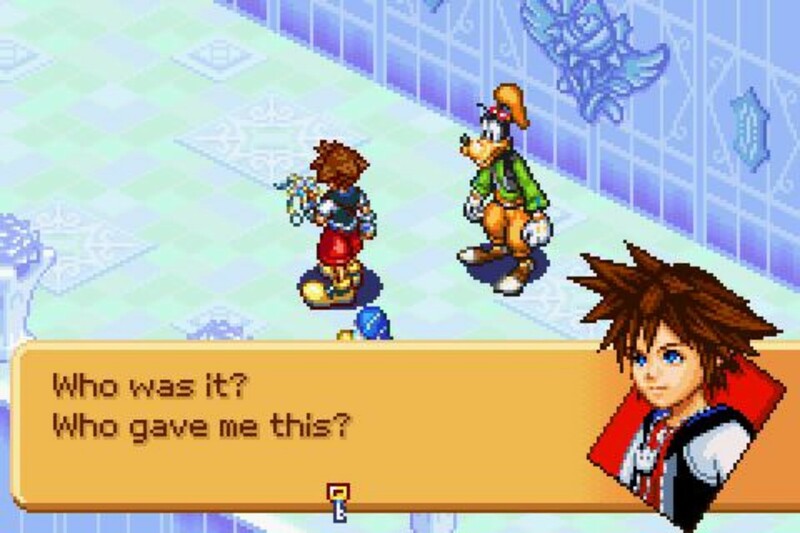 The Kingdom Hearts games aren’t exactly known for their brevity in storytelling. This Kingdom Hearts games ranking takes a light jab at the complex storytelling of the Disney/Square Enix RPG games. If I was to tell you that there exists a game where Donald Duck and Goofy serve as the mage and knight to Mickey Mouse’s royal kingdom, you might think to yourself, “Sure, that sounds all right.” When I then throw in that Chip and Dale combine something called Gummi Blocks (not to be confused with the tasty gelatin snack) to aid them in their interstellar light-speed space travel, you might start to scratch your head, but still, why not just run with it? Ha. 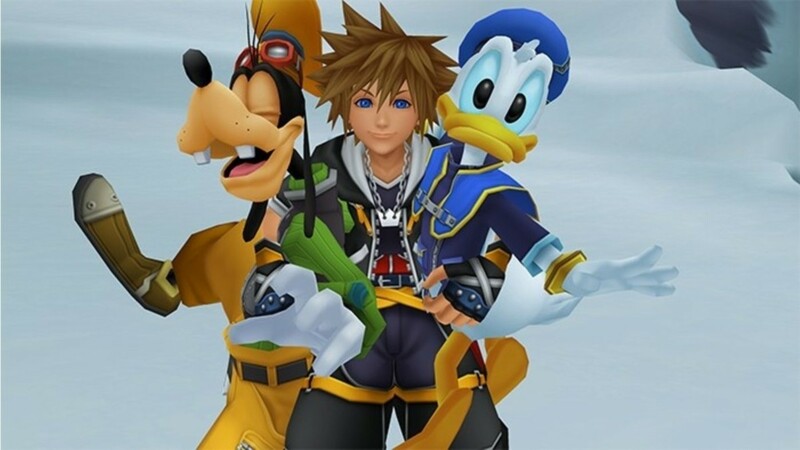 But what if I told you: Donald and Goofy are searching for someone with the power to… unlock/collect/remove hearts? No, no, no, not like, bleeding, anatomical hearts ripped-right-out-of-a-human’s-chest kind of hearts. Like, ❤, all cute and Valentines Day-y and glowy. But humans can live without hearts in this universe, so it’s sort of like when someone gets the Dementor’s Kiss in the Harry Potter series? Yeah, I think we all got lost in the metaphor there. 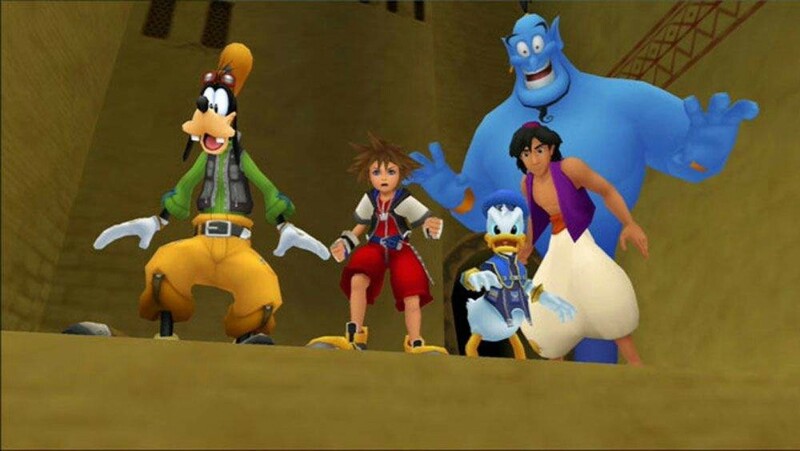 Add in a destroyed universe or 50, secret tribes, complicated and ambiguous backstories to characters we have no emotional connection to, and just a touch of inter-dimensional time travel, and you have the Kingdom Hearts games. Fun and cutesy as they are, this Final Fantasy sister series takes the fantasy of it all, cranks it up to 12, and careens haphazardly down the Autobahn at well over the recommended 130 KM/H. Listen, I love the Kingdom Hearts games. While there are many fandom entries out there that study the depth of the tie-in manga, books, interviews, extra cutscenes, in-game journals etc., etc., I encourage you to just embrace the confusion with me. I promise you it’s the only way to find yourself content with skipping jauntily along with Aladdin, Rapunzel, and the like. See, if you concede to only barely understanding the overarching plot, you might fall into shipping, or the whimsy of the Disney worlds, or even the wonderful completionist tasks for an Ultimate weapon. Take this light ribbing with a grain of salt as we drop, dive, fragment, code, and read the abridged back cover of one of the most complicated fantasy series to hit the video game genre. If you think it’s weird that I would place the third game in the KH series at the top of this list, you would be correct. Oh, and yes, it’s the third game in the Kingdom Hearts series. Just go with it. If you played the Game Boy Advance title Chain of Memories, you’d already suffered through enough of being thrown to the sharks to sort of get what’s going on with Organization XIII, Naminé, and Sora’s pod healing sequence. Kingdom Hearts itself is explained, and hell, even shown toward the end. We get a very in-depth and helpful explanation as to who all of the Xehanorts running around are from none other than Mickey Mouse himself. 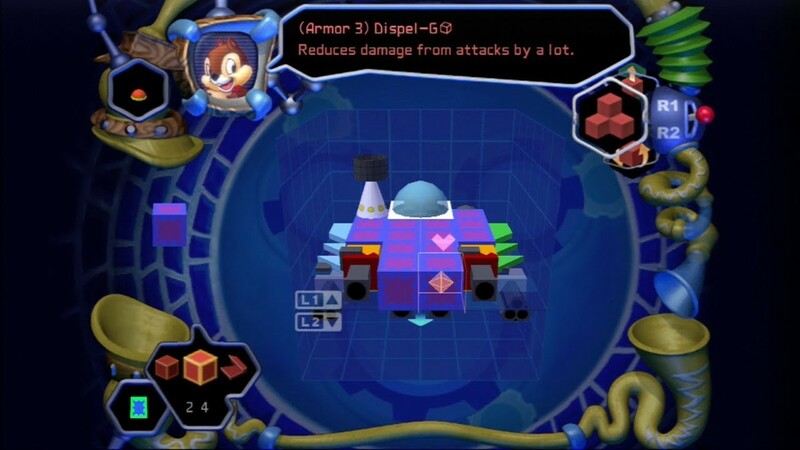 At that, the writers’ room even took the time to clean up some loose ends in the Kingdom Hearts mythos by further explaining what Heartless are, introducing Nobodies in a semi-cohesive way, and bringing most if not all of the first game’s cast into the fray relatively smoothly. It feels good to experience Kingdom Heart II‘s story because, convoluted as it still is, it pales in comparison to the later entries of this Kingdom Hearts games ranking. 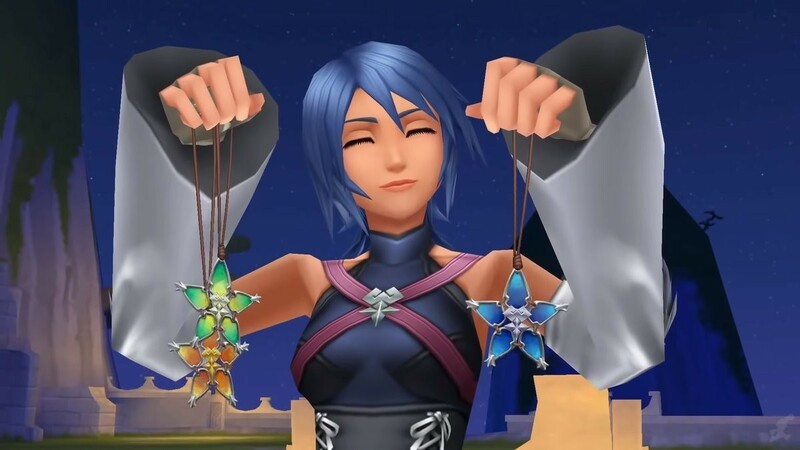 Aqua is a relatable protagonist with a struggle that may not make total sense to even those that have played Birth By Sleep. At that, Fragmentary Passage is such a short one-shot sort of deal that it doesn’t even linger around long enough to drag its feet through the muck of BBS‘s storytelling. You’re in the darkness, you’re fighting a demonic version of yourself, and Mickey Mouse can’t get you out. It’s sad, sweet, and most of all, it’s brief. I almost think of Fragmentary as a tech demo for a Kingdom Hearts game running in the Unreal Engine, meaning the story was going to naturally take a back seat in this cute and depressing entry. Sora states that he knows “deep down, Kingdom Hearts, is light!” Cool but… do we even get an established idea of what Kingdom Hearts will do? It’s opened with some princess hearts but… then what? Ansem doesn’t really tell us, but it sounds eeeeeevillllll. As the hooded figure at the top of the game aptly explains, “One who knows nothing can understand nothing.” Um, agreed. We’re THROWN into a mess here right from the start of Chain of Memories. Sora, Donald and Goofy are slowly having their original memories altered and erased, and it’s making a rift in the space-time continuum that can only be fixed by the same blonde pixie that created it with her magic crayons. A lot of random enemies are thrown at you, and they like to allude to evil plans that they probably don’t even understand themselves. 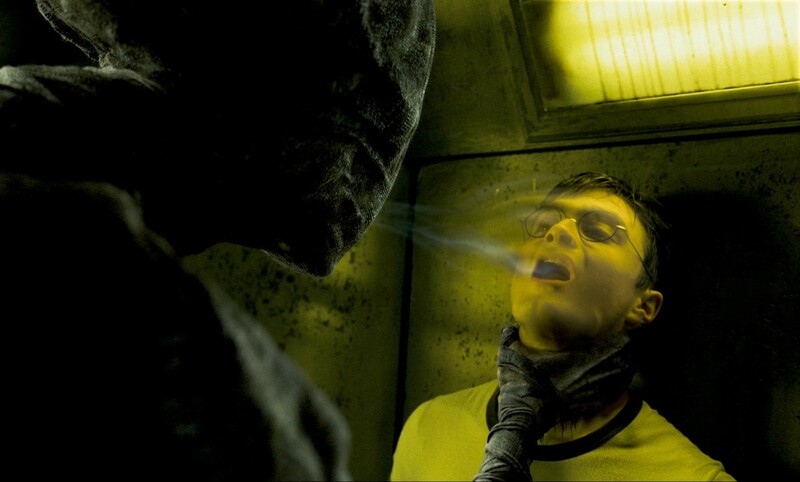 Axel could be the Snape of it all here, and some of them may have died, but when your “death” appears as “screaming as your physical form fuzzes a bit and slowly melts into the earth,” a lot of the critical points in the story of Chain of Memories are left abhorrently ambiguous. There’s a guy named DiZ, there’s some place called Twilight Town, there are half-true versions of the first game’s Disney Worlds (minus Tarzan because lol licensing or something), and everything is suddenly controlled by cards, of all things. Sora goes into a pod at the end, as real Riku takes out fake Riku and nightmare Ansem. It’s… a lot. Quite frankly, I’m surprised the series was able to hold on to any semblance of continuity past all of this mess (or *cough* maybe it didn’t). Everything is in the digital world this time around, which is fine, and we have to do even more than “Thank Naminé” this time around; “end their suffering” is the task listed at the end of Jimminy’s Journal now. Who are “they”? Well… probably Roxas and Naminé, but also Ven, and Terra, and Aqua, and the whole of the galaxy. And maybe some half decent Organization XIII members, but only if they behave, which they sort of do when they’re in their original human forms, but it seems like they’re going back into their nobody forms. Let’s keep it simple here and only save Axel/Lea, how’s that? Roxas was sad, and had sad Organization friends, including a 14th member that we’re just hearing about now. Xion was something to the effect of the manifestation of the bits of memories leaking out of Naminé’s healing pod, so she naturally genderbends at random points in the story, and we’re meant to just swing with it. Fine, I’ll take it, but why, just, WHY with the insanely stupid title? Oh, it’s pronounced “three five eight OVER two days,” good, I thought we were doing decimals and fractions here. Now THAT would have been confusing! Ven is Vanitas who is Sora but only as an adult and also Ven is Roxas but all through Sora’s newborn heart. Don’t try to reread that sentence. It will hurt your head trying to figure out the connection between those four characters, so it’s probably best that we just focus on more solid things like Unversed and the Wayfinder Trio. 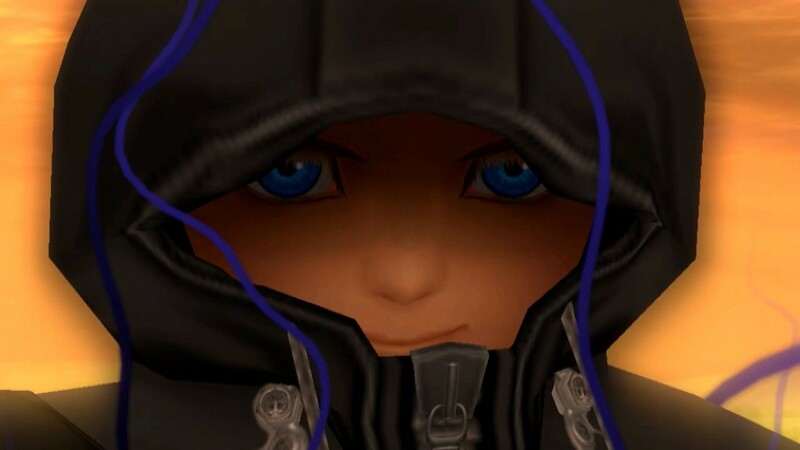 We’re set to stop Master Xehenort from creating a superweapon from Ven and Vanitas’ hearts (once again, not going there), but what he’s going to do with it is strictly not explained. The climax has us in the thralls of the secret movie from the end of KH2, but it feels so forced to fit that beta version of events that the story starts to unravel even more. Ven and Vanitas and Terra and Master Xehanort are somewhat dead, but not really because sometimes they’re “just sleeping,” sometimes they’ve “lost their hearts,” and sometimes they’ve been simply “defeated.” If there was already a “defeated” over “dead” trope before the Kingdom Hearts series, I would be amazed. The end results of this all are meant to set up games like Coded, Fragmentary, and even KH3, but they majorly fail to do so. The Kingdom Hearts series has an Achilles heel, and its name is three simultaneously told stories of the same exact locations. Pick a timeline, stick in it, and I swear, Kingdom Hearts, you’ll be surprised by how much less confusing your story naturally becomes. I’m going to keep this one short and simple: time travel + it was all a dream = 13 Darknesses and 7 Lights. I mean, duh, how come you didn’t get that? Oh, that’s right, because this is the first we’re introduced to any of those concepts, but it’s all good, Riku’s a Keyblade master now so f*ck Sora, amirite? If ambiguous needed a synonym, it would be the Greek letter χ (pronounced kai); specifically, how the Kingdom Hearts series handles the beta of the story’s inception. 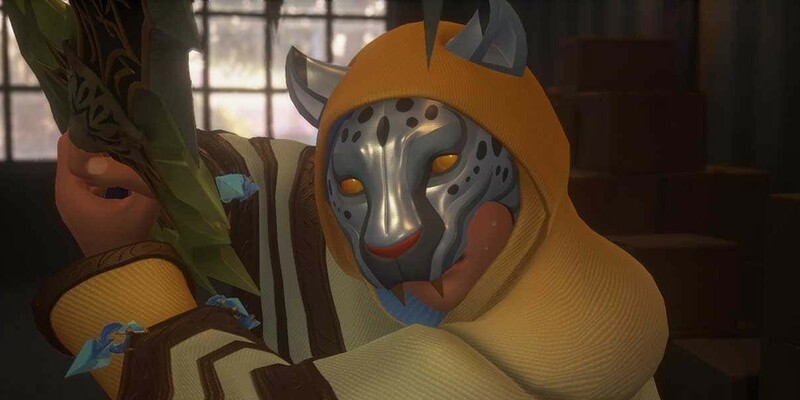 I know we’ve been talking about the First Keyblade War for some time now, but who in the HELL are all of these people wearing Cheetah Girl masks?! 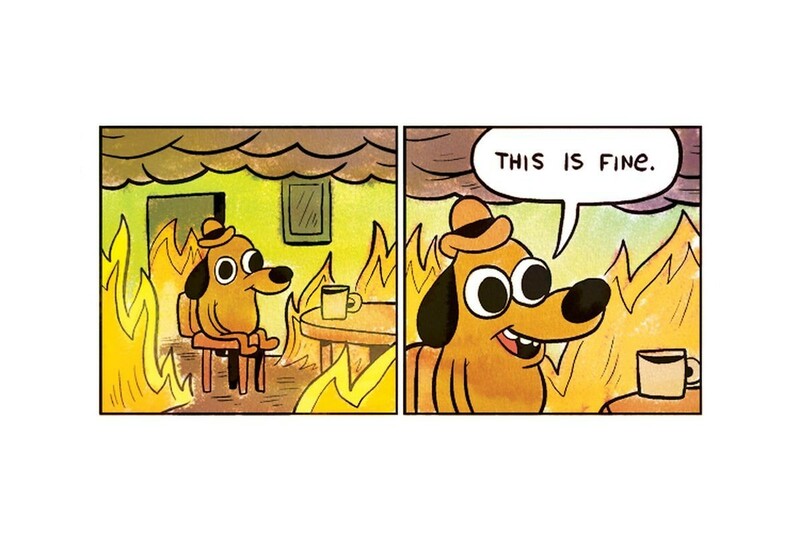 I’m just out at this point. I don’t know how you’re meant to be interested in the mobile game tied in with this frustrating film pack-in, and I don’t really care, honestly. There’s a Roxas look-a-like in this one as well, but by this point, if there aren’t at least five doppelgängers in any given Kingdom Hearts spin-off game, I’d think something was amiss. “If it’s not broke, don’t fix it” applies to, like, story elements, not character designs. And if there was anything broken that needed fixing about the Kingdom Hearts origin story, it would be, oh, I dunno, actually letting us see the faces of any of the main characters?! 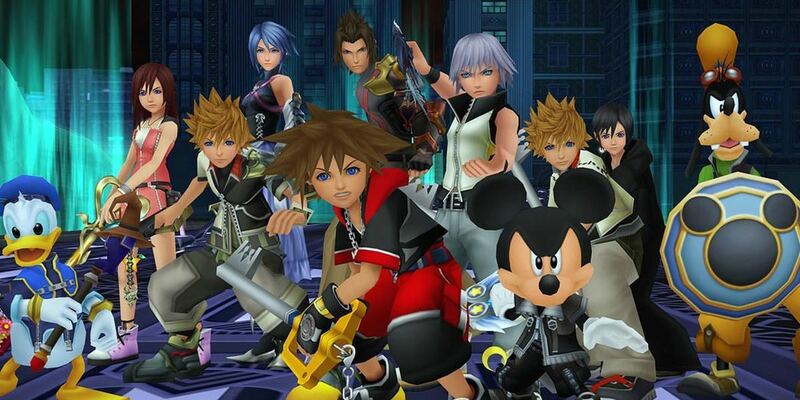 Where will ‘Kingdom Hearts III’ fit in this ranking? God please let it be somewhere in the lower numbers. I’d take it at a three or four because expecting a top spot out of Kingdom Hearts III after the messes that are DDD and χ is like asking for pigs to fly. 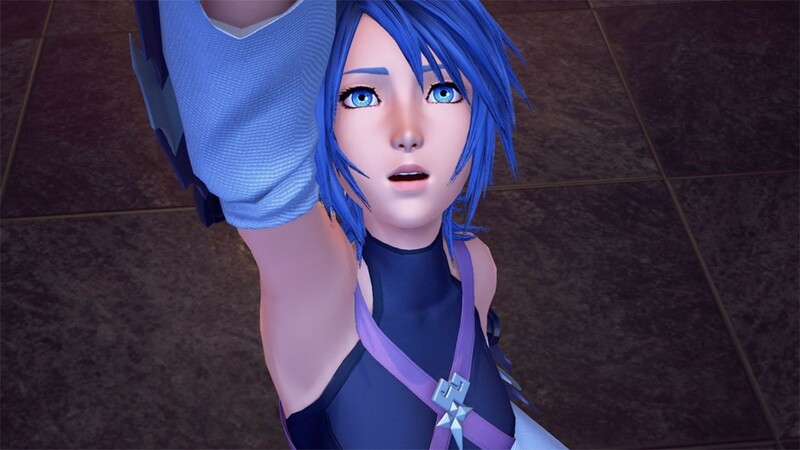 I love you, Kingdom Hearts, and I don’t expect you to change. You’re showing some age lines here and now, but you’re just too damn nostalgic for me to let go. So keep doing you, Kingdom Hearts. Keep making new forms of the same person and calling them different names in different games. 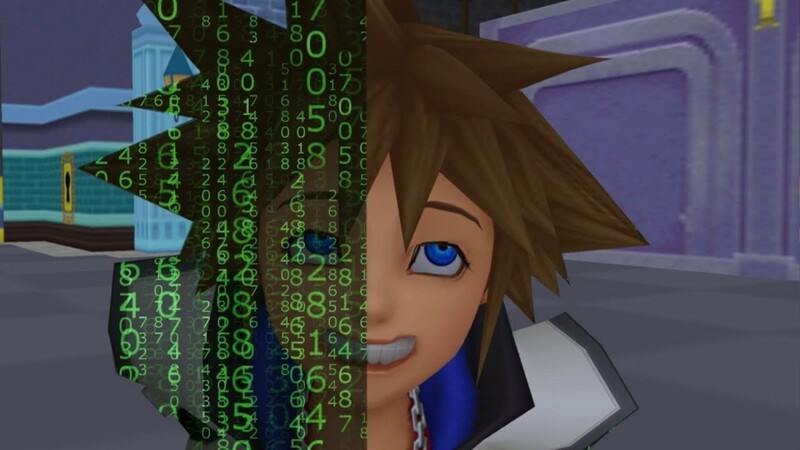 While you’re at it, shove a couple more lost souls into Sora’s Residence Inn of heart. Hell, I could take another Ansem Seeker of Darkness or Repliku fight or two. Stay golden, Kingdom Hearts protagonists, because by now, you’re the only glue keeping us together until Kingdom Hearts III releases on January 29, 2019.